First awarded in 1945, the Lasker Awards often are called the “American Nobels,” and many consider them the most prestigious possible honor for basic and clinical research because of the extraordinarily scrupulous process by which a jury of the world’s top scientists nominate and select the awardees. 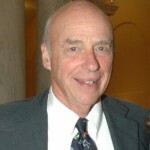 Brown was cited for his work (done with others) in gene amplification, a process that underlies, among other biological processes, the runaway growth of chemotherapy-resistant cancer cells. “We were one of the first groups to purify genes of any kind. We learned a lot about their structure, function, and evolution before the era of recombinant DNA,” said Brown. Over the years, Brown has continued to make fundamental discoveries into the nature of genes and today studies metamorphosis in frogs. The foundation also cited Brown for his “selfless commitment to young scientists,” demonstrated by founding and leading the Life Sciences Research Foundation, a partnership that provides postdoctoral fellowships to promising young researchers. He also has mentored a generation of young scientists at the Department of Embryology at the Carnegie Institution. The Life Sciences Research Foundation boasts 450 current fellows and alumni, many of whom have gone on to successful academic careers. In 2008, the Albert Lasker Award for Special Achievement in Medical Science was renamed the Lasker-Koshland Special Achievement Award in Medical Science. Brown will receive his award on September 21 in New York City. Brown is the sixth Johns Hopkins faculty member to be awarded a Lasker. In addition to Gall, in 2006, Carol E. Greider, the Daniel Nathans Professor and director of molecular biology and genetics in the Johns Hopkins Institute of Basic Biomedical Sciences, won for her groundbreaking work with telomeres. 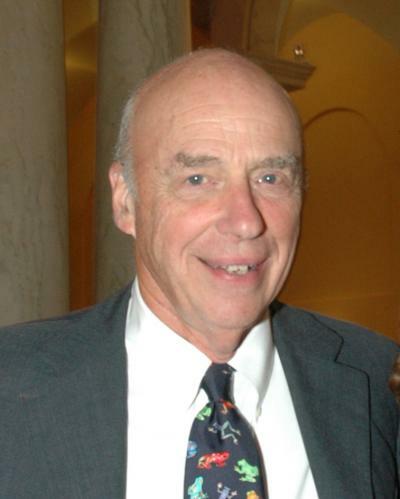 In 1997, Alfred Sommer, dean emeritus, Bloomberg School of Public Health, and University Distinguished Service Professor, won the Clinical Research Award for his discovery that vitamin A supplementation prevents blindness and life-threatening infections in millions of children living in the poorest nations in the world. In 1983, Vernon Mountcastle, professor emeritus in the Solomon Snyder Department of Neuroscience, won the Albert Lasker Award for Basic Medical Research. Solomon H. Snyder, University Distinguished Professor of Neuroscience, Pharmacology and Psychiatry at the School of Medicine, won a Lasker Award for his discoveries in brain chemistry in 1978.